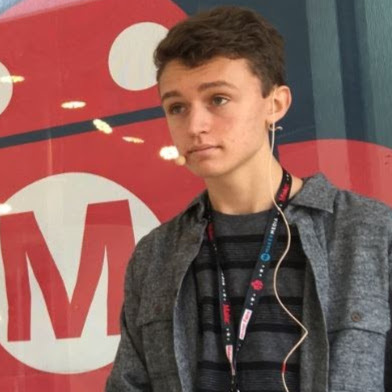 I recently had an internship at the University of Denver’s Innovation Floor, where I wrote curriculum on walking machines geared toward a middle school audience. I’m going to pilot this curriculum by teaching a class at a local school later this year. Because I didn’t have the budget for all the students to build eight-legged TrotBots, I made this six-legged version with a tripod gait that costs approximately half as much as an eight-legged TrotBot. 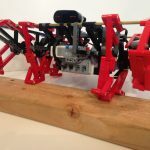 TrotBots with eight legs balance by having four feet in contact with the ground, one at each corner of the robot. If one of these feet were removed, then TrotBot would tip, similar to what would happen if you removed one wheel from a car. 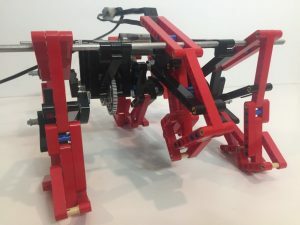 For a tripod gait to be balanced, the feet need to be arranged like an equilateral triangle, so I removed the two outer pairs of legs, and added a pair of legs to the center of TrotBot, inside the frame. Also, I needed to adjust the timing of TrotBot’s front and rear feet. 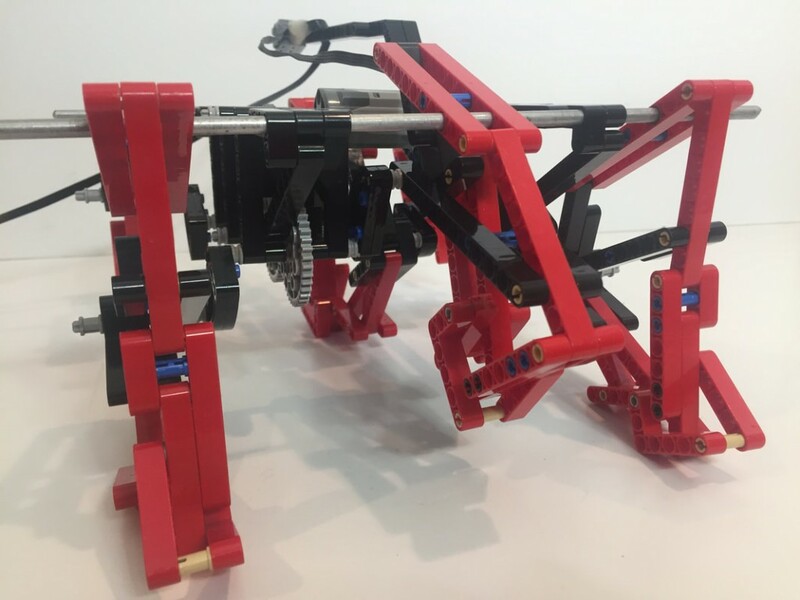 As shown in the image below, hexapod robots with tripod gaits transition from one tripod to another as they walk, which requires TrotBot’s front and rear feet to be 180 degrees out of phase. Here’s a simulation of TrotBot’s legs timed for a tripod gait. 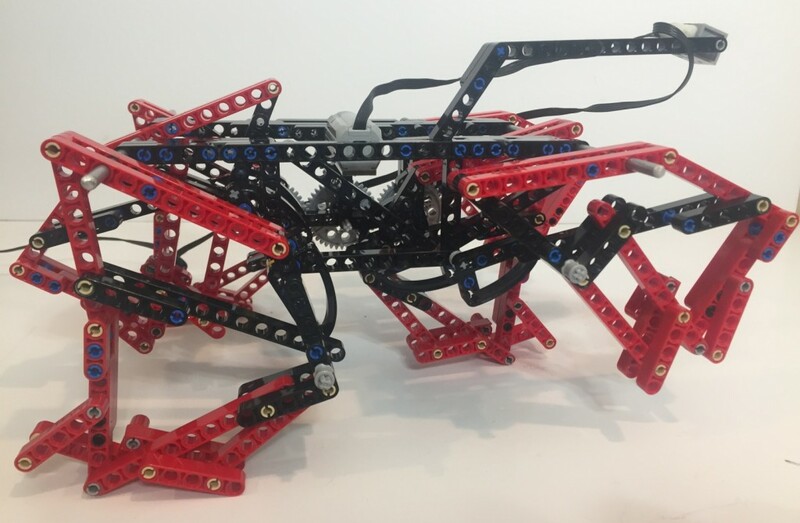 Below is a LEGO hexapod TrotBot in action, and build instructions can be found here. 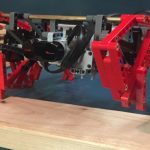 Also, I performed more tests on the eight-legged TrotBot over the summer, and made some improvements from what I learned. I have incorporated these in new, version 3 instructions for both EV3 TrotBot and the battery box versions. I also made some improvements to Strider’s instructions. Here are some highlights from TrotBot version 3. 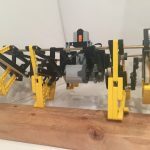 If you decide to build your own TrotBot, please share your progress at www.DIYwalkers.com.